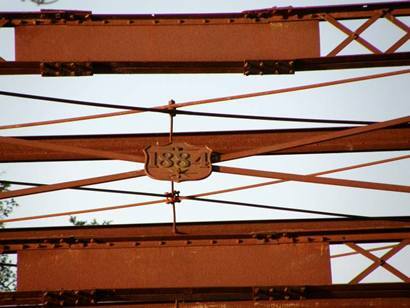 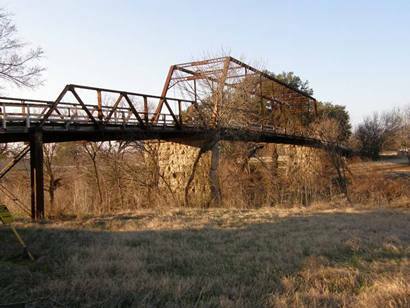 1884 Clifton Whipple Truss Bridge, Texas Historical Landmark. 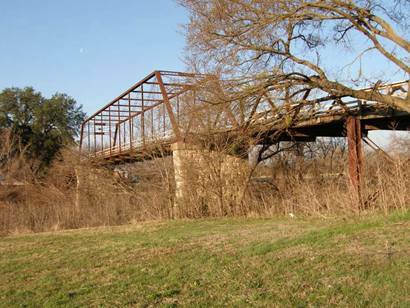 Built in 1884 by the Wrought Iron Bridge Company of Canton, Ohio, at a cost of $6,465, this bridge spans 150 feet across the North Bosque River. 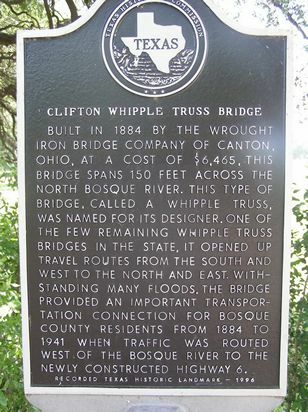 This type of bridge, called a Whipple truss, was named for its designer. 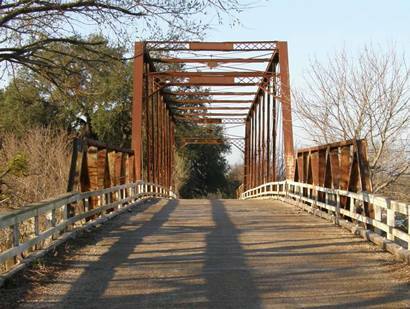 One of the few remaining Whipple truss bridges in the state, it opened up travel routes from the south and west to the north and east. 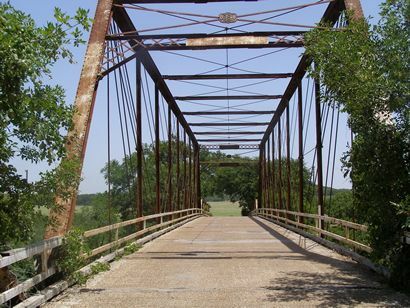 Withstanding many floods, the bridge provided an important transportation connection for Bosque County residents from 1884 to 1941 when traffic was routed west of the Bosque River to the newly constructed Highway 6. 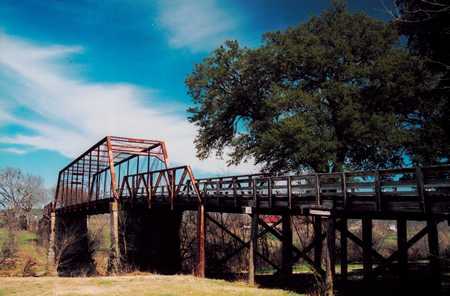 "That [post card] is most certainly a picture of the Whipple Truss Bridge in CliftonTexas.htm, a Texas Historical Landmark, built in 1884 by Wrought Iron Bridge Company.